LWPS VII: The Season 2 Kick-Off! Fasten your seatbelts ladies and gents, because we’re about to jump-start Season 2 of the LWPS! That’s right, we’re back with all your favourite tournaments, at your favourite spot on the high seas. Check out our dedicated LWPS page for season schedules, our all new Grand Finale, as well as all other essential LWPS information. Call the good people at NCTours @ +65 214 2822, or +60 07254 3990 to reserve your ferry tickets now!The $20 extension waiver for all Main Event participants still applies! *1 MPC Red Dragon Seat + $500 spending money for every $2300 in the prize pool. Wow this time cap at only 100? Must register fast! Any early bird specials for ferry tickets and cabins?? 1. For freeroll: What does T$400 mean? 2. If we qualify for the freeroll and play beyond 2:30pm but do not qualify for the 3 ME seats, does that mean that we cannot participate in the ME? 4. Any sit n gos and what would their buy-ins be? eleester wrote: Any early bird specials for ferry tickets and cabins?? 1) That's Tournament Dollars, a special stars currency that can be used to buy in to their tournaments. 2) The freeroll will not end any later than 3, so you definitely will be able to buy-in to the ME. how to sign up for main event? 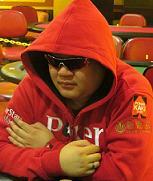 2) For event 3 is this the Red dragon main event HKD11,000 from May28-June5? Does it cover only the entry fee or bundled with airticket/hotel room? 2) Yes that's correct. The package covers your main event seat and SGD$500 in spending money, which you can use towards your airfare or accom. hi, I am interested to sign up, but could someone explain the the 4 events more in details? Newbie here. Don't really understand what each event means. huathuat wrote: hi, I am interested to sign up, but could someone explain the the 4 events more in details? Let me try to explain briefly to lessen the workload of ikelos. Event 1: Freeroll for Event 2. You are top 3 for this event, you get a free entry into Event 2. Entry free is $20. Starting with 2000 chips. Maximum 100 person. Event 2: Main event. Entry fee is $250. Starting with 7500 chips. Mamimum 100 person. Event 3: Qualifying event for Macau Cup. Winner gets a free entry to MPC in Macau. Entry fee is $250. Starting with 4000 chips. Maximum 60 person. Event 4: Rebuy event. You bust out early, you can rebuy to stay in the event. Entry fee is $120. Additional rebuy should be $100. Starting with 2000 chips. Maximum 60 person.